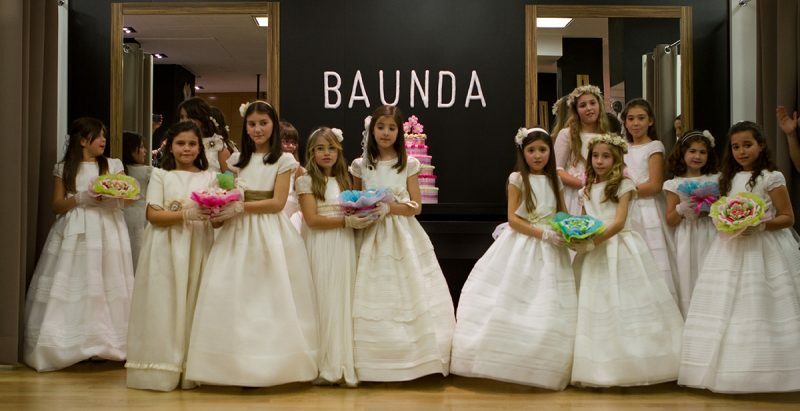 ¿ When to buy the communion dress ? If your girl takes the First Communion in 2018 you are in the right place. I am sure there are many questions rounding your head as when to buy the communion dress. At Baunda, we may try to solve some of your doubts. If your girl takes the first communion in april or may 2018, then the best time to buy the communion dress is from december to the end of january. 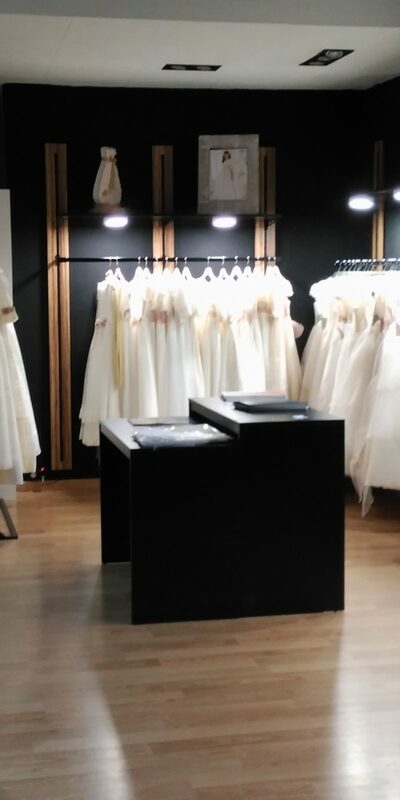 That way you have the possibility to choose in between the whole communion dresses collection offered at our store and you will be properly on time. 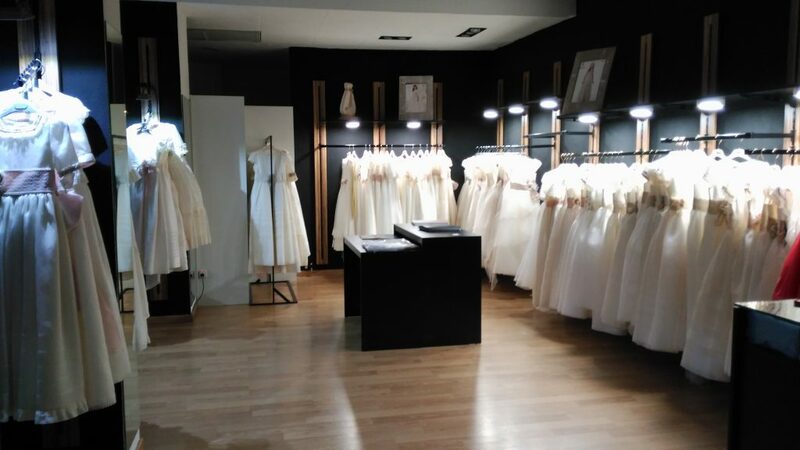 NOur proffesional tem will help you to choose the perfect dress for your girl and coordinate it with matching accessories: headpieces, headbands, crowns, bags, jackets, gloves… Everything to find the excluive look that shows your girl personality and satisfy the whole family. ¿Can I get the dress home in the same day? 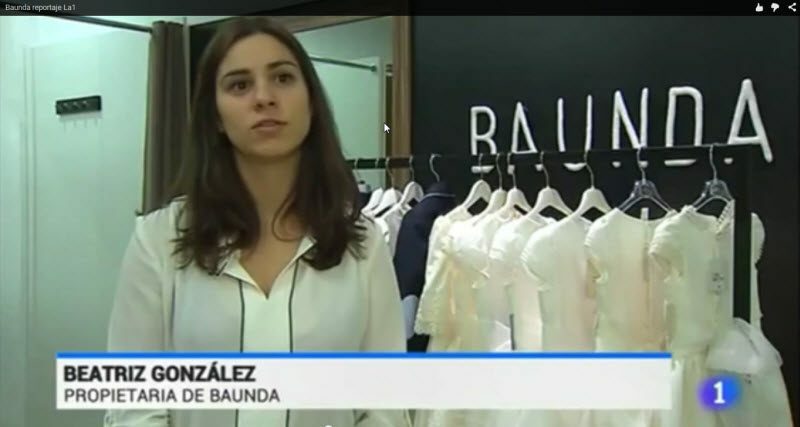 In case we have her size at the store and it doesn´t need any fitting, then we will prepare it so that you can leave the store with the dress. 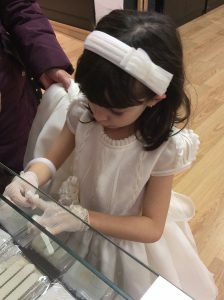 In case it needs any fittings, we will try to do them in one or two days, so that you can pick it up and return home with your beautiful communion dress. In case we do not have the properly size for her, then we will need to order it to the made, This will take 4 or 8 weeks deppending on the rush we have. 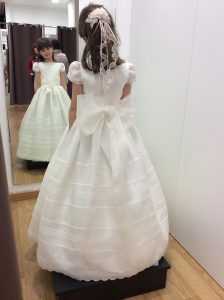 Once we receive the dress we will ensure it is perfect for her communion and fit it if necessary. Then we will ship it to your country through urgent and safe courier. The shipping usually takes 3-5 days. ¿Can I buy the communion dress online? 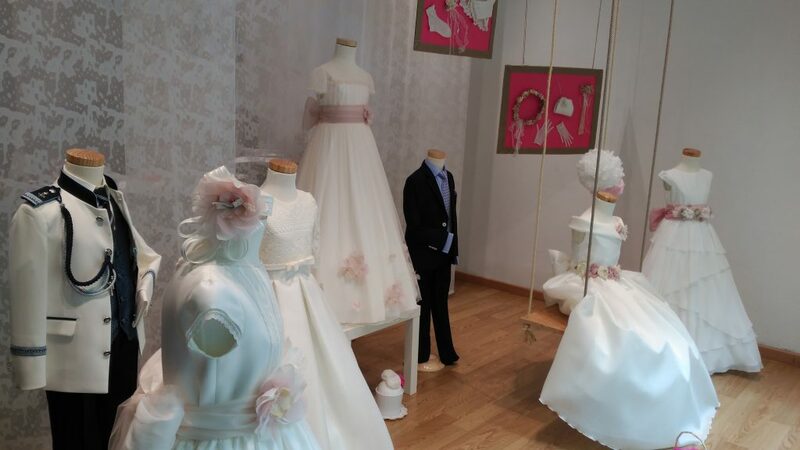 We are already a world reference in communion dresses at Madrid and online shopping. Your girl has the first communion in 2017 and ¿you don´t know where to buy communion dresses in Madrid ? Wellcome to Baunda !!! We are located at Calle Ayala 85, Madrid. Situada en el Barrio Salamanca, really near to the underground Goya, Lista and Manuel Becerra. 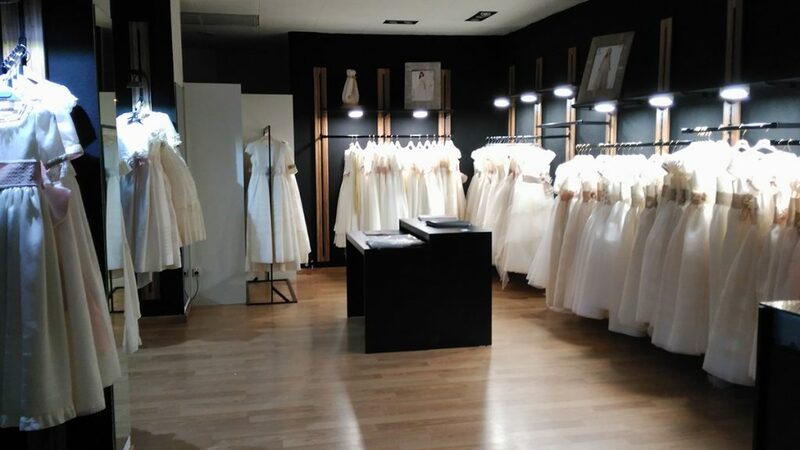 We offer a wide space, personalized attention and the largest communion dresses collection composed of 12 brands and more than 100 different models. 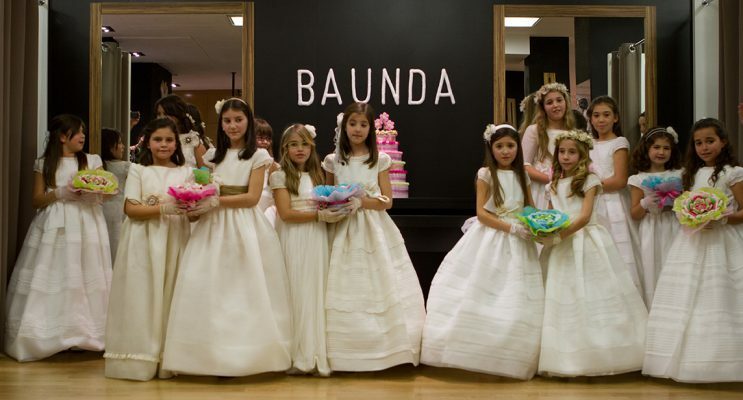 Just book a date, dialling the telephone (0034) 914011851 or trough whatsapp at (0034) 620272585, by e-mail at info@baunda.com or with our app BOOK A DATE ONLINE to try your girl the commmunion dresses 2017 at Baunda Madrid. We will match the dress with beautiful accessories: hairpieces, headpieces, crowns, bags, jackets, gloves… onality of your girl and satisfy older and youngers. ¡¡¡ WE WAIT FOR YOU !! !